While spur-of-the-moment stops at fabulous side-of-the-road spots can be lots of fun, it usually pays to plan ahead. A lot of antique, thrift and junk shops keep limited and often odd hours, so be sure your destination is actually open. You will also likely need to ensure you have plenty of time for browsing. I like to go through the entire place fairly quickly, taking photos of items of interest with my smart phone, but not spending too much time in any one place. Once I have been through the whole place, I feel like it’s easier to narrow down what I may be genuinely interested in purchasing on that particular shopping trip. This method takes time, though, so plan accordingly. Consider your destination when planning your attire for the day. Flat, comfortable shoes are ideal, and on some occasions boots are the most practical. Comfortable clothes that you aren’t afraid to get a little dusty or dirty are also a good idea. A lot of this depends on where you are shopping, though. 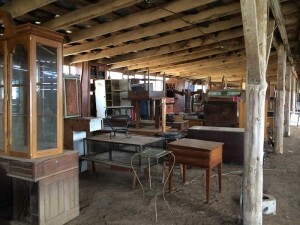 Stores that are set up more as antique malls will often be indoors, fairly clean and have a controlled climate, whereas some junk stores and antique expos could be outdoors and subject to more weather elements, dirt and even areas of mud. While it is always fun to hunt and keep your eye out for the treasure you didn’t even know you “had to have”, if you are looking for something specific, it’s often a good idea to do a little research before you begin shopping. This will help you determine if you are actually getting a bargain. Understanding the average retail value of an item will make it easier to decide if a purchase is a good idea or not. A great thrift store find can be anywhere from 40-70% off of typical retail pricing. Often times, the cleaner and more climate controlled the shopping environment, the less of a deal you are likely to find. To some degree, you must expect to pay the overhead of the retailer, as well as put in time to clean up some items. Doing research about an item’s value will help you know when to negotiate and when to simply pay the asking price. Some thrift shops are set up to wheel and deal, while others are not. 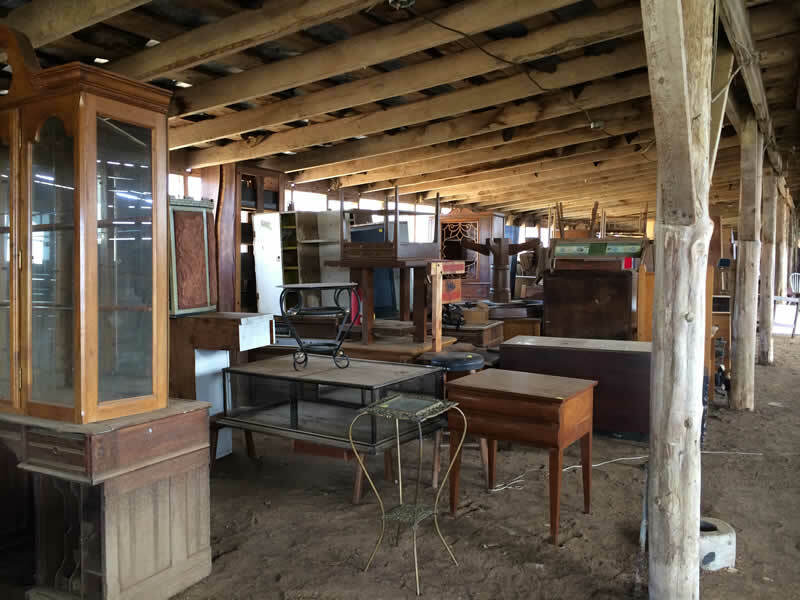 Typically, large antique stores that have vendor vignettes (multiple vendor booths under one roof, with one common check out) do not offer much negotiating options because the actual booth owners are not there to discuss pricing. On the other hand, many junk stores offer the opportunity to negotiate some pricing, especially if you are purchasing multiple items. Regardless of the location, it’s always a good idea to have cold, hard cash. Many of these types of retailers don’t take other forms of payment, but either way, having cash in hand always improves your negotiating power. Plan to transport what you purchase. Plan ahead and be ready to transport large, heavy (and sometimes even dusty or dirty) items on the spot. Most dealers are ready to get rid of their inventory, and paying and taking your purchases immediately can often give you additional negotiating power. Plan ahead by removing extra seats from the family van or taking a truck, and making sure you pack a few extra old quilts and blankets for wrapping more fragile items. Above all else, have fun. Enjoy getting lost in the stories of the items you come across. Enjoy learning about an item’s history or imagining where an item has traveled before you found it. Enjoy the eclectic collections and oddities you’ll inevitably stumble upon as you search for new pieces to fill your home and become a part of your family’s own story.